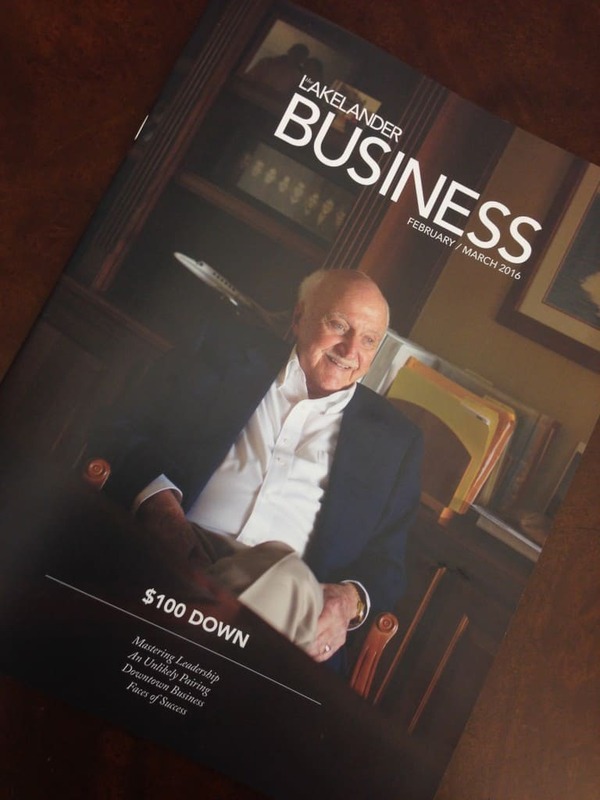 We are thrilled to have our founder, Joe P. Ruthven, featured as a Lakeland Legend in the latest issue of The Lakelander Business. Take a few minutes to read the article titled, “$100 Down” and learn how this entrepreneur got his start in Lakeland and built a successful business from the ground up. His motto, an our company’s motto is “We do everything we can to help our customers get started. Our goal is to help our clients grow and prosper, because when they succeed, we succeed.” It is an inspiring story!